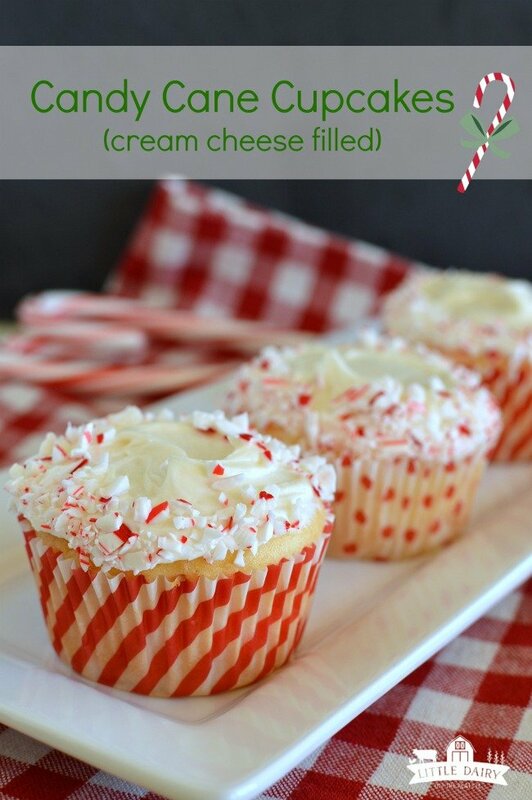 Candy Cane Cupcakes are the cutest cupcakes for the holidays! 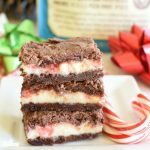 The perfectly minty cake batter is filled with a surprise candy cane cream cheese filling. 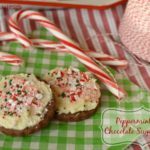 Top them off with minty white butter cream frosting then decorate with candy canes! So cute and easy! Candy Cane Cupcakes are another one of those recipes that fall into the “it’s easier than it looks” category. 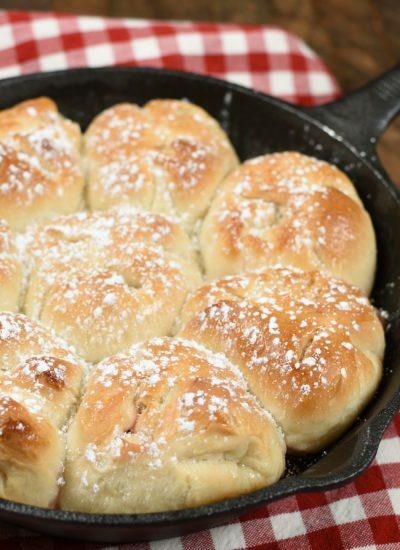 Have you noticed almost all of my recipes fall into that same category? Well it’s because I’m busy, just like you, and still want to bring cute cupcakes to that Christmas party. So, if you have a to do list a million miles long these cupcakes are just for you! It was my birthday on Sunday and all I wanted for my birthday was to not have to do farm work on Saturday or Sunday. I know it’s asking a lot. My floors needed mopped, my poor children needed to be fed at least one decent meal that week, and my middle child was on his last pair of underwear. That’s a crisis people. When your twelve year old BOY runs out of underwear your priorities for that day change immediately! You know you either buy more underwear or start washing (and yes I do wash new clothes before wearing them, especially underwear)! After I realized I was going to have to work at least for part of that day I made a goal to at finish up by lunchtime. Here on the farm lunch time can be anywhere between 11:00 in the morning and 4:00 in the afternoon. Justin happened to come in around noon, just as I was finishing my work. That’s when he begged me to help him for just a little bit longer. Agghhh! What I really wanted to do was get those underwear in the wash machine, and start making Candy Cane Cupcakes! I was nice and helped him until about 3:00 that afternoon, made lunch for my fam, then started laundry…no cupcakes! Even though they are easy I just didn’t have it in my to bake. Monday rolled around and he wanted me to go to a farm meeting with him. No way! We decided to use technology and I had him conference call me when he got to the meeting. That’s right I stayed home and finally made Candy Cane Cupcakes! 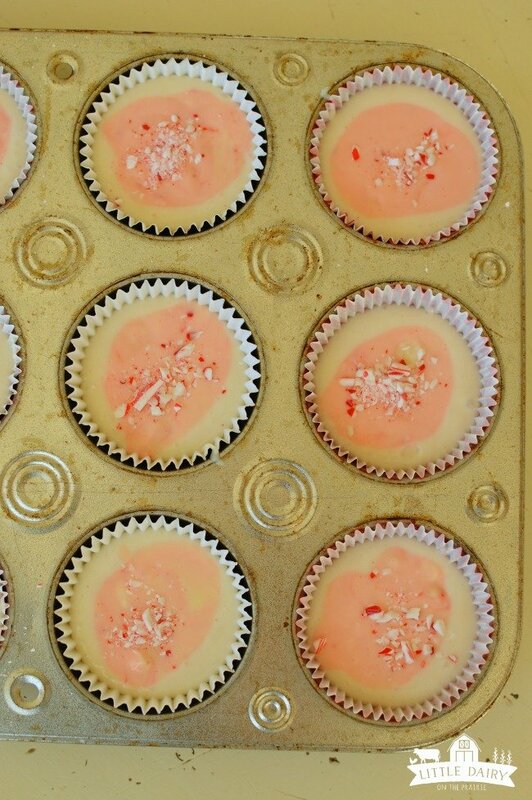 Did you catch that these scrumptious cupcakes have a cream cheese candy cane filling inside them? Ya, it’s good! 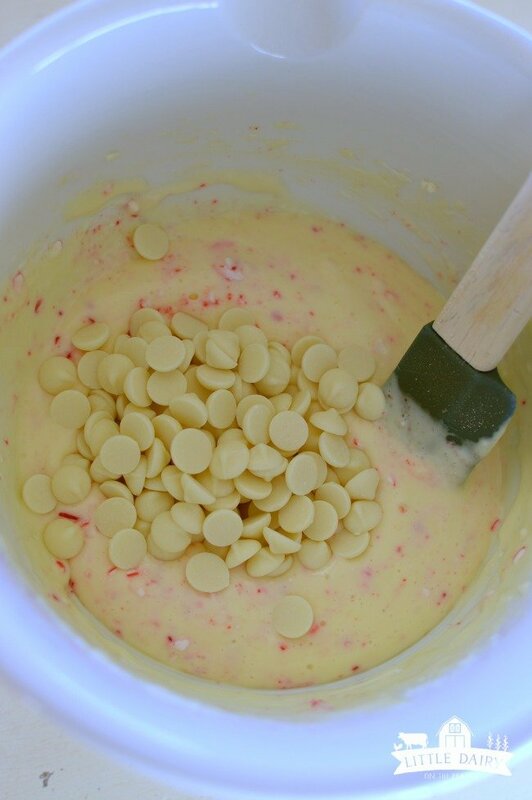 Mix up a white cake mix according to directions on the box, except add peppermint extract. 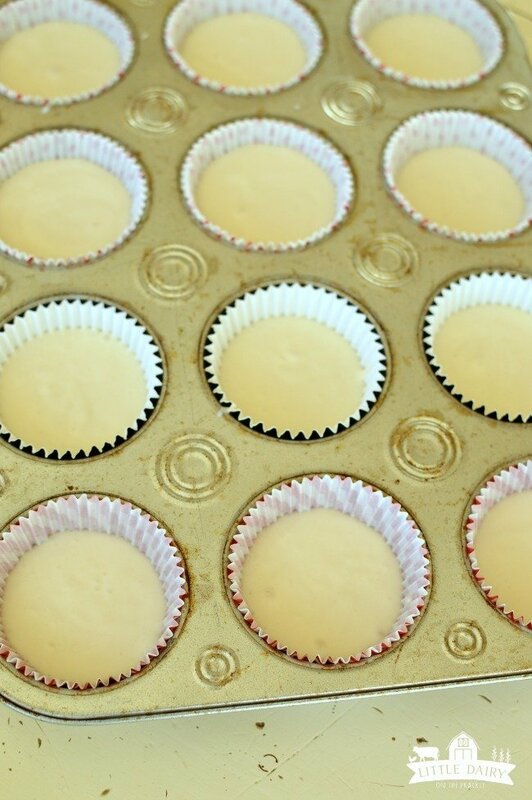 Drop cream cheese mixture on the top of the cupcakes. 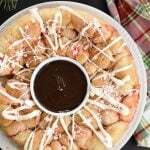 Next, sprinkle a few more candy canes on top. 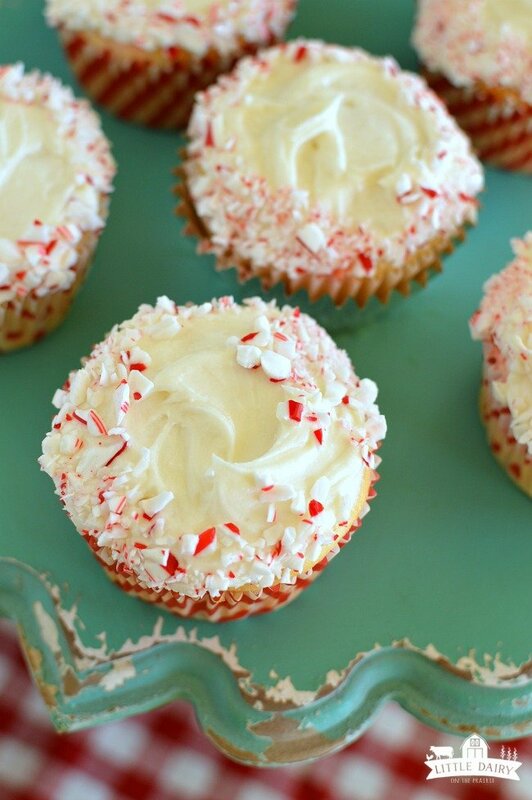 These are Candy Cane Cupcakes after all! Maybe I got a little carried away making cupcakes and forgot to take pictures of every step. You all know what baked cupcakes look like anyway! Frost the cupcakes with buttercream frosting. 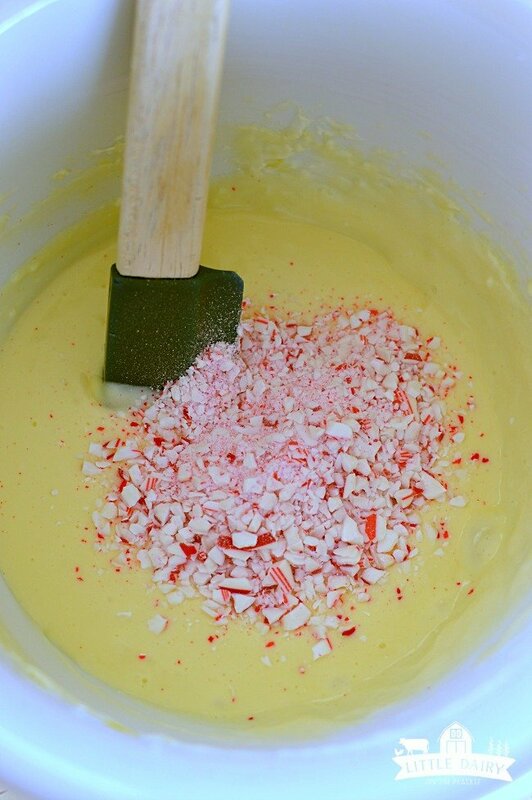 Then roll the edges in crushed candy canes. 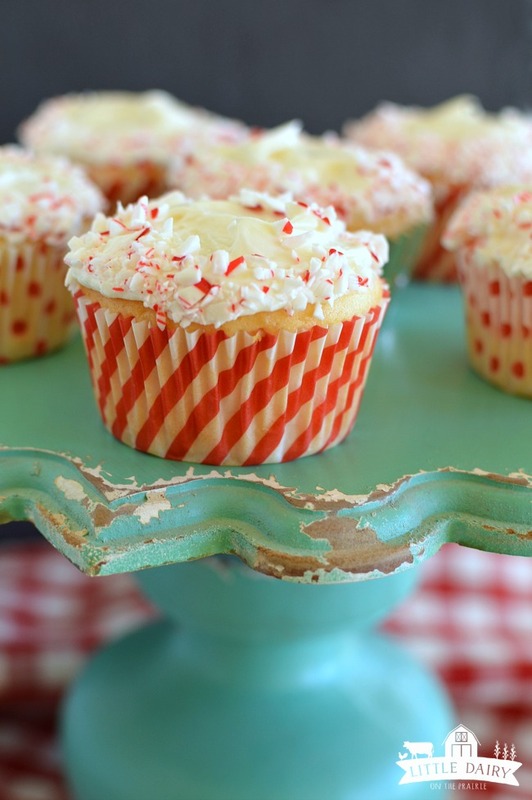 Candy Cane Cupcakes might be my new favorite Christmas cupcake! You’ve got to try them! Well, after you wash your children’s underwear, everyone needs priorities! 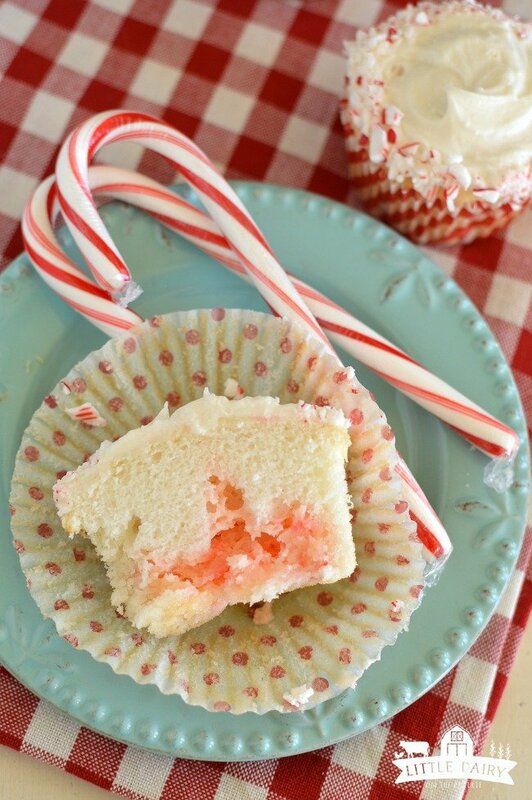 Candy Cane Cupcakes are the cutest Christmas cupcake. And...they have a fun cream cheese surprise inside of them which makes them extra special! Make cake as directed on box with the addition of peppermint extract. 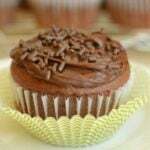 Fill cupcake liners with cake batter as directed on box. Set aside. Don't bake yet! Beat cream cheese until smooth. Add sugar, egg, and 1 tsp peppermint extract. Stir in chocolate chips and ¼ c. candy canes. 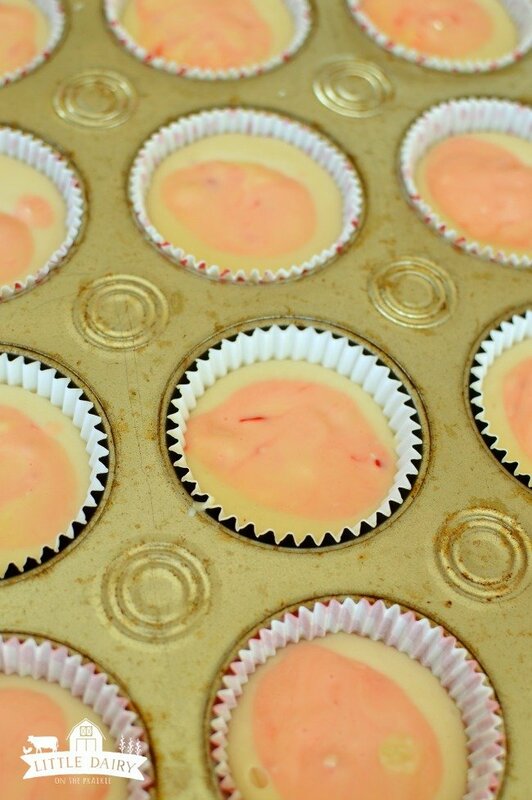 Drop cream cheese mixture over cupcakes. Each cupcake will get approximately 1 Tablespoon. Bake cupcakes as directed. Cool. Mix butter, powdered sugar, salt, peppermint extract,and 2 T milk together. Add more milk as needed to adjust consistency of frosting. Put remaining crushed candy canes on a plate. Roll edges of cupcakes in candy canes. After a few hours candy canes will start to "melt" on the icing. They still taste amazing but aren't as pretty as when they are first decorated. You can always make the cupcakes ahead of time then frost and roll in candy canes a little bit before serving. Filled cupcakes are my favorite! These look wonderful! Thanks! I love surprises, especially in my cupcakes! 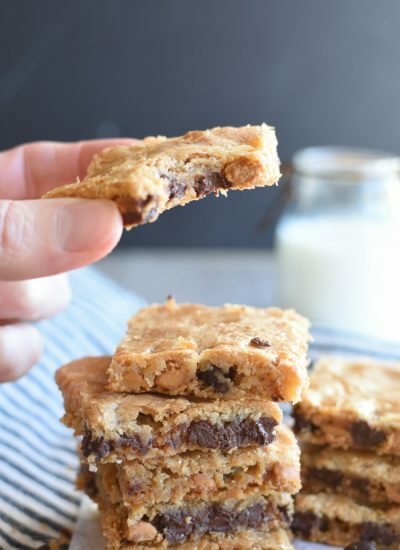 I want to bite into one (or two) of these tonight! I wish I could send you a dozen! Merry Christmas! These cupcakes are so pretty and I’m so intrigued by the fact that you added a dollop of the white chocolate and cream cheese mixture to the unbaked cupcake – I’ll bet that makes them taste terrific! It’s so much easier to add a filling that way than to pipe it in afterwards. And I like easy on super busy days! They look delicious! Anything with a cream cheese center has to be amazing! I agree! I could eat cream cheese straight from the package! The perfect cupcake for the holidays!!! Thanks! I love how easy they are to throw together! Perfect for the holidays ahead! They are so festive…and easier than they look. My kind of recipe! 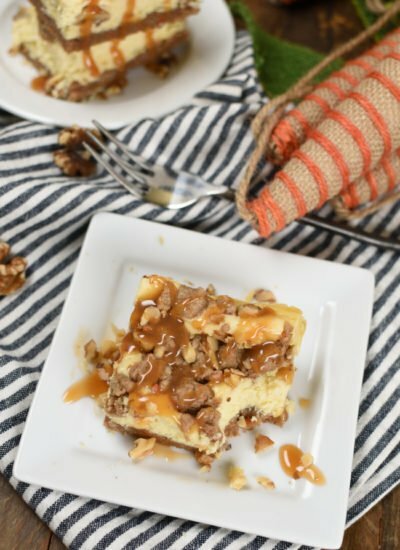 just found your site, loving your recipes! May have to try a few of these for Christmas. all 4 of my kids & 7 grandkids will be here! Trying a variety, these are some I’ve never made. Merry Christmas! Thanks for stopping by! 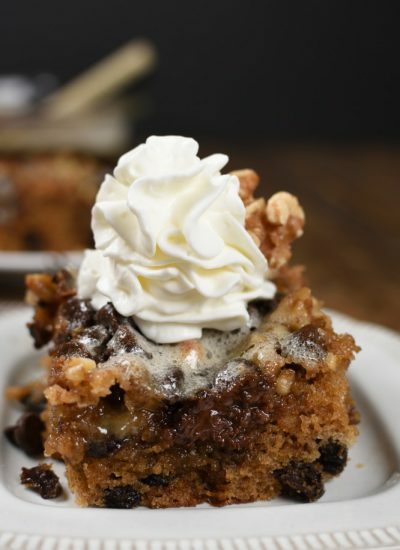 I’m glad you found a few recipes to include in your holiday baking! I love using a mix of the same old favorites I’ve been making for years as well as adding a few new ones to try! Merry Christmas!